Yvonne Hackenberg, who started out as a tennis pro, stumbled across platform tennis when she was looking to buy a house and found a court in a development community. She was quickly hooked and became very good at the game, eventually teaching it and providing clinics throughout the Mid-West. When she decided to play in the big leagues, she had to look out East for a partner, as her local partner had moved. She found Linda Wolf and, despite the fact they had never practiced together, they won the 1979 Women’s Nationals. The following year, she teamed with Hilary Hilton Marold and they won three straight. 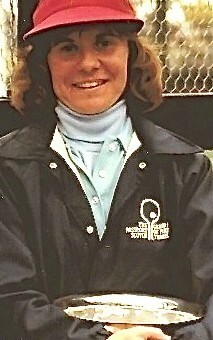 She added a fifth title in 1984 with Robin Rich Fulton. 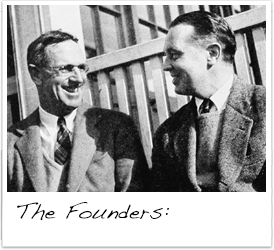 Hackenberg served as an APTA director for nine years, and, at the time of her induction, was the woman's director for Region V, and had been the chairperson of the Kalamazoo platform tennis tournament for as long as anyone could remember. Hackenberg made a wonderful contribution to the game both on and off the court. As with many champion players, she came to the game through tennis, which she took up in Junior High School and competed in junior tournaments throughout the Midwest. She ended up as a coach for the man who first recognized her ability. After playing tennis in high school and college and then getting married and having a child she got a fortuitous exposure to platform tennis. While looking for a place to live, she and her husband toured a planned development community. Their interest was drawn to what looked like two small tennis courts sitting on posts and surrounded by ‘chicken wire’. What were these things? Come back next week and watch they were told. They did and were instant converts. They played every chance they got, and very soon Yvonne was organizing neighborhood matches and Sunday round robins. Yvonne became as good as any local man and was often asked to be fourth in men’s doubles and lucky was the man who got her for a partner. She was so good that she expanded her summer job as tennis pro at a local country club into a year round position by also being its platform tennis pro. She brought her tennis students to paddle and they in turn got hooked. She then expanded this local teaching to paddle clinics throughout the Midwest. In the mid ‘70s Yvonne competed at the regional level and won many tournaments with Janet McCutcheon. It was in 1979 that Yvonne teamed up with Linda Wolf, a Connecticut player, with whom she had never even practiced, and won, defeating Hilary Hilton and Annabel Lang Rogan. 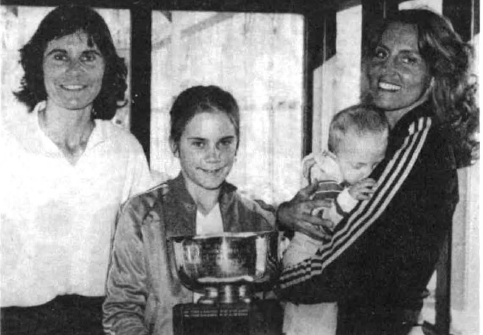 The following year she teamed with Hilary Hilton (Rogan had moved back to her native California) and they proceeded to win three consecutive national titles from 1980 – 1982; she also was a finalist in the Mixed Nationals in 1982. A fifth Women’s title was added two years later in 1984 with still another partner, Robin Fulton. At this time, platform tennis was at one of its zeniths with lots of top level competitors drawn by the games popularity, sponsors and prize money, a heyday of six or seven years during which she won her five national titles. Truly remarkable! The game fosters intense but friendly competition and this player was known, win or lose, for her class, her friendliness, her wide circle of paddle friends and the esteem in which they all hold her. Constantly supportive and encouraging to partners and passionate about our great game, she was a competitor’s competitor. She had contributed off the court as well, as an APTA director for nine years, and at the time of her induction was the woman’s director for this region V, and had been the chairperson of the Kalamazoo platform tennis tournament for as long as anyone can remember. She was truly an ambassador of the game. Despite all her titles the ones she most cherishes, are not hers, but the two junior national titles won by her daughter, Kristy, in the 15 and 18 and under championships in 1985 and 1988. Historical Factoid: Pickleball reunites old partners: After not seeing Hillary and her husband, Charlie, in well over 20 years. Yvonne decided to give Hilary a call to see if she would play with her in the Pickleball Nationals. After she explained the game, Hilary made a leap of faith and said, “Sure, let’s give it a try.” Yvonne and Hilary, (who had NEVER played the game before she went to Buckeye, Arizona for the 2009 Nationals), came in second in both their age group and the women’s masters division. This past year (2010) they teamed up again, first at the Huntsman Games in St. George, Utah. They won their 60-64 age group and the Women’s 5.0 Skill Level. Then, at the Nationals the following month, they won gold in both the 60-64 age group and the Women’s Open Division. Yvonne and Hilary’s remarkable partnership has been rekindled, thanks to pickleball.